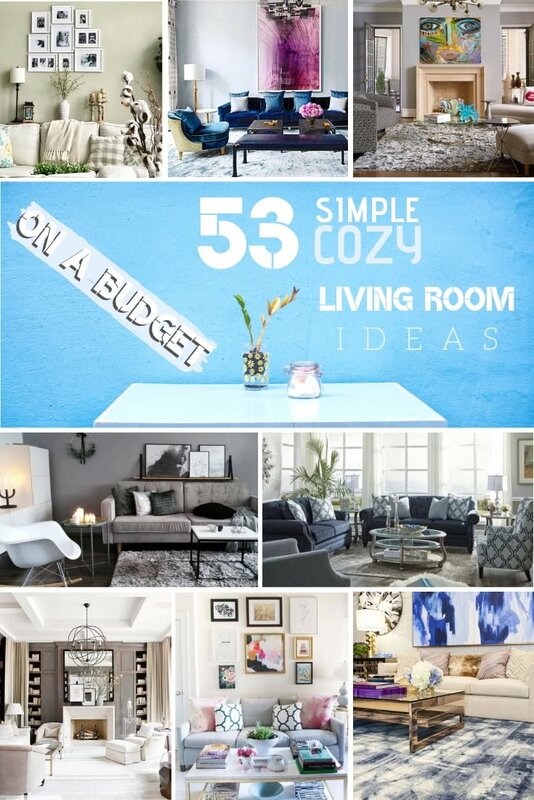 Looking for simple, cozy living room ideas on a budget? 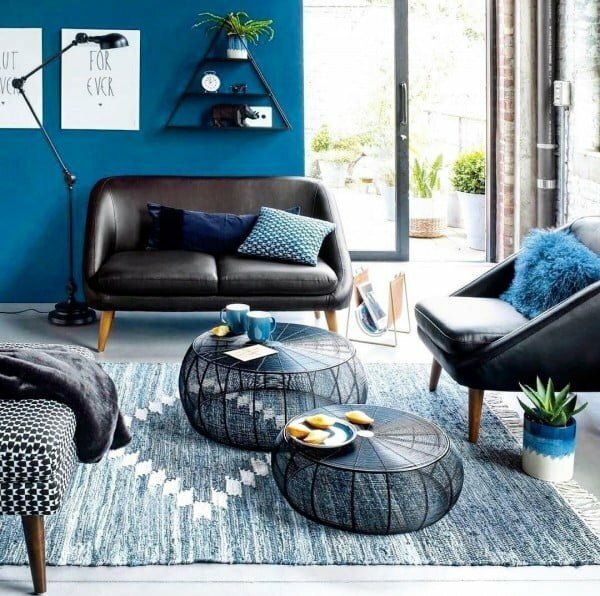 Here are some of the best living room ideas to redecorate or remodel your space in 2019. How are you going to decorate your living room in 2019? Are you going to chase edgy trends or are you going to stick to traditional styles? There’s no right answer, and you can mix ideas as well. And we are here to inspire great decor ideas. This year has a lot to show in the living room and home decor in general. Naturally, we will see the common styles from the last year – a lot of minimalism, cozy rustic accents, vintage items that create personality. Above all, you want to strive for a harmonious look. And ideally, you should be able to do it on a budget. 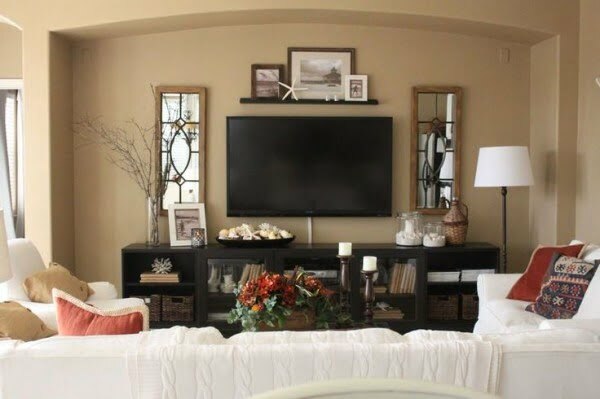 So here are our favorite ideas for a well decorated simple and cozy living rooms. 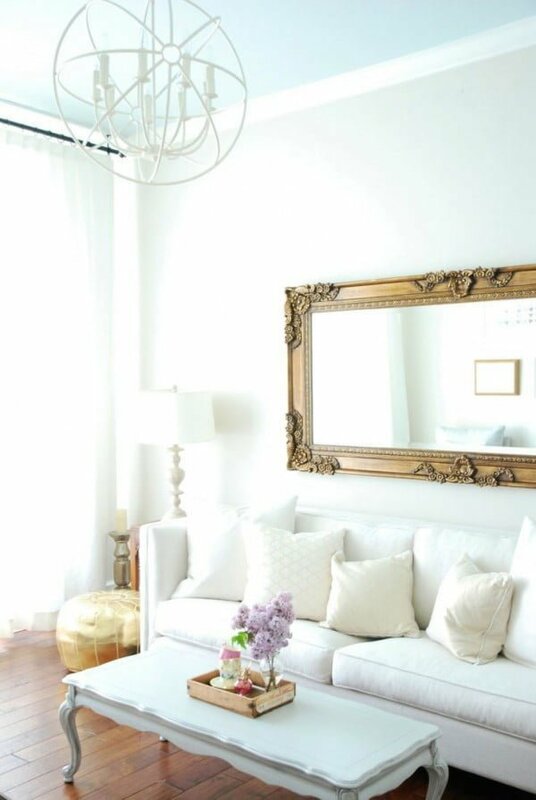 Creating a soft, delicate space is simple by combining neutral colors like whites, beiges, and creams. The slight color variances add layers of softness and luxury. 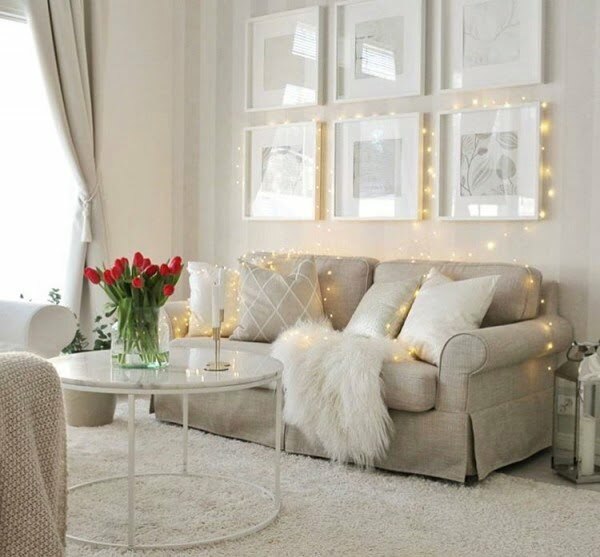 Add some fairy lights for a cozy touch. 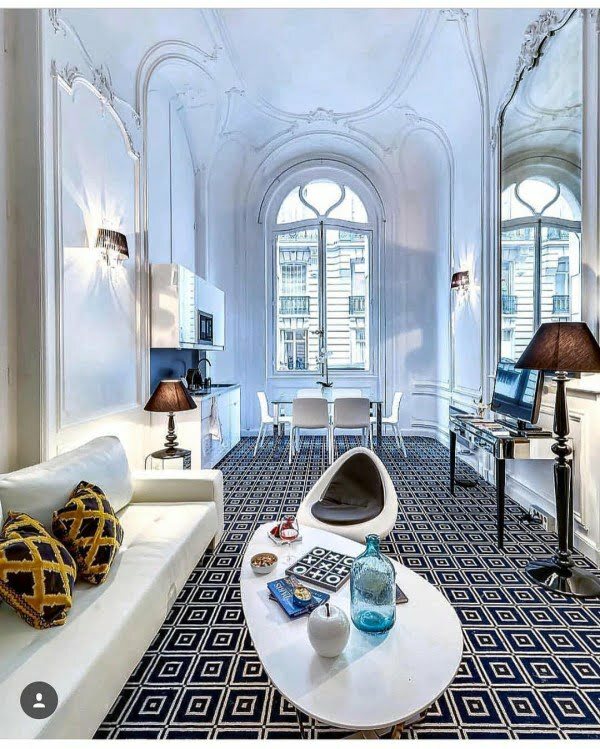 Adding a bold geometric carpet to space is a fabulous means to a decadent end. The boldness of the pattern pops instantly, lending the area an air of opulence. Choosing two bold colors to use in space will play off each other and creates visual interest and flow. Adding warm wood tones in space, via flooring or furniture pieces, brings a warm, homey feel to any living room, especially when paired with crisp whites. 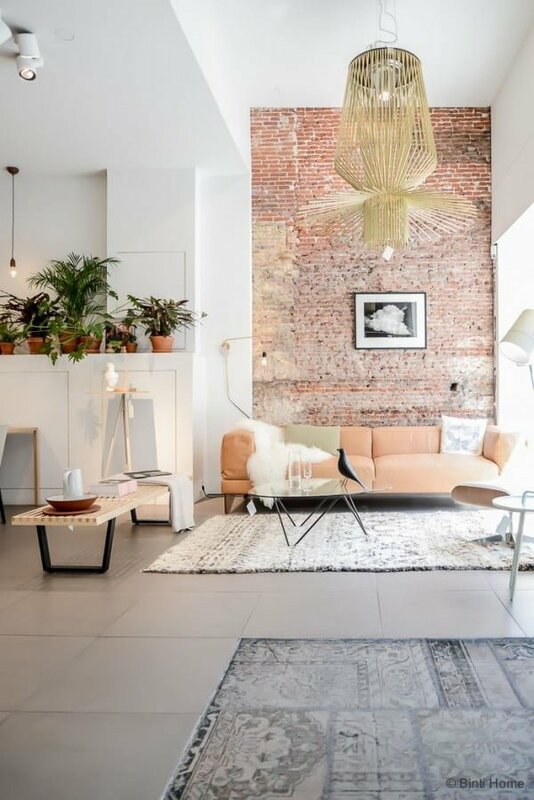 Adding textural elements like leather and brick add depth and texture to a living room. Invoking the feel of a cozy study or reading nook, these textural elements play off each other perfectly. 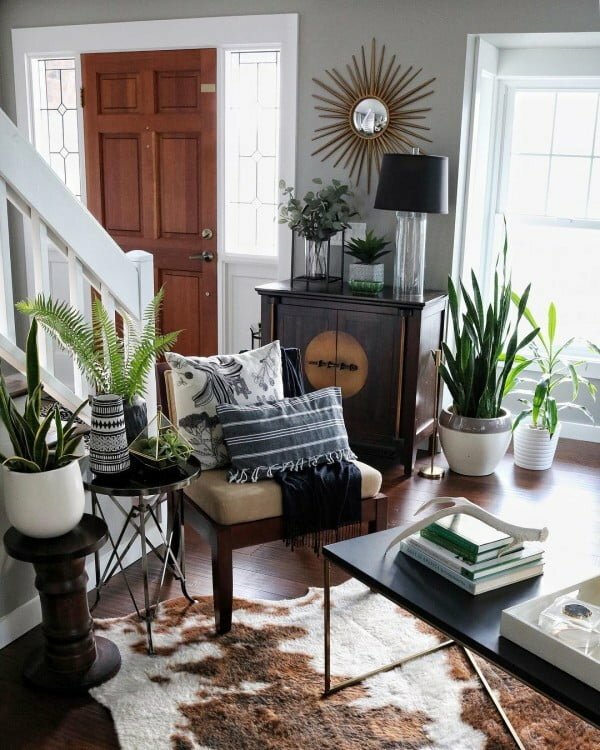 Adding a bold floor covering with strong patterns or color in an otherwise neutral space adds the perfect ‘pop’ element to help anchor the eye. 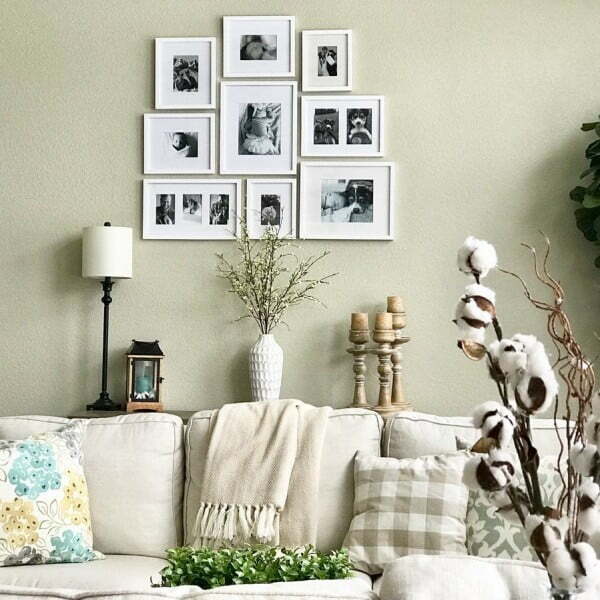 Gallery walls are ideal over a sofa as they form the perfect focal point for a living room. 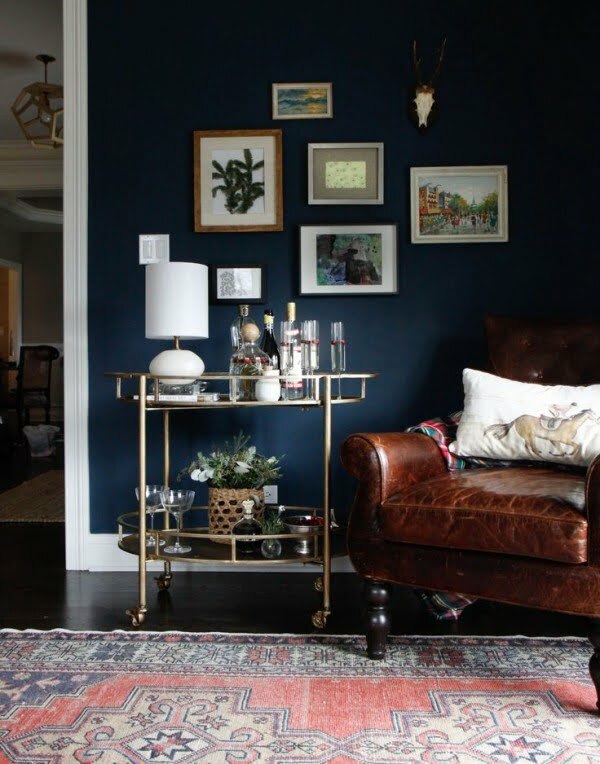 Choosing the items for the gallery wall helps communicate the tone for space. Having dark tones gives a modern living room late-night feel. Space wraps around its guests beckoning them to stay within its walls. 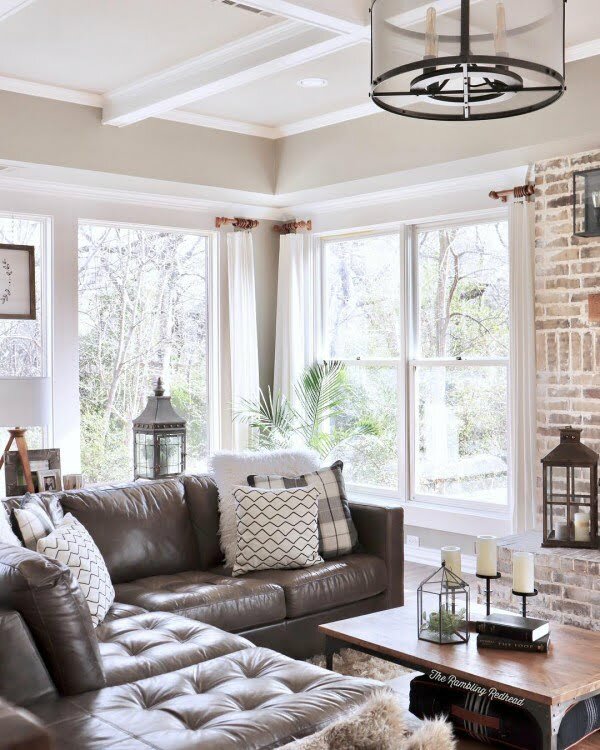 Adding stone detailing on walls adds instant character, warmth, and rustic charm into a living room space. It can also create an interesting architectural element. 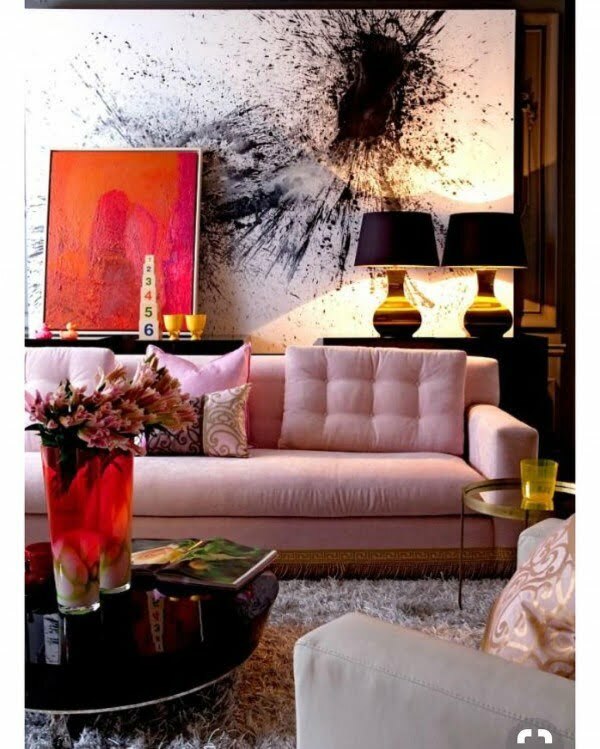 Adding a bold piece of modern art to a living room instantly elevates the space into a stylish contemporary haven. 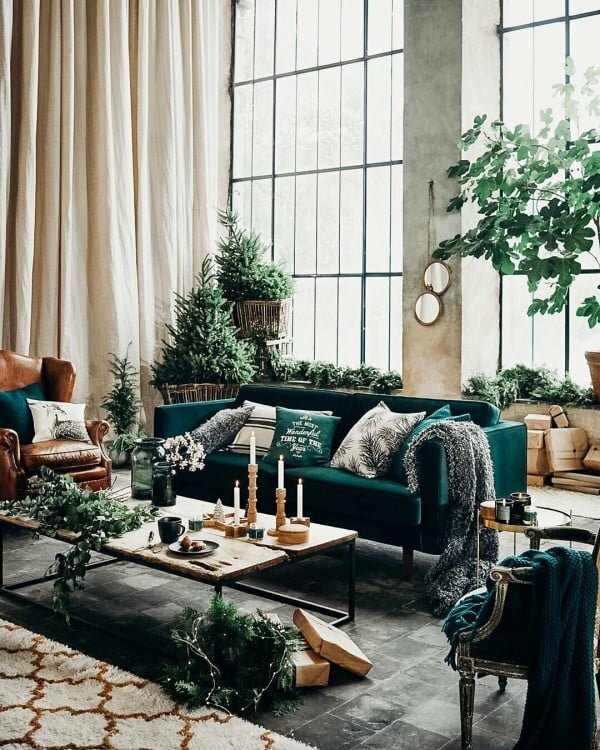 Adding greenery to a living room is an ideal way to marry the indoors with the outdoors, uniting interior decor with the natural external beauty surrounding our internal spaces. 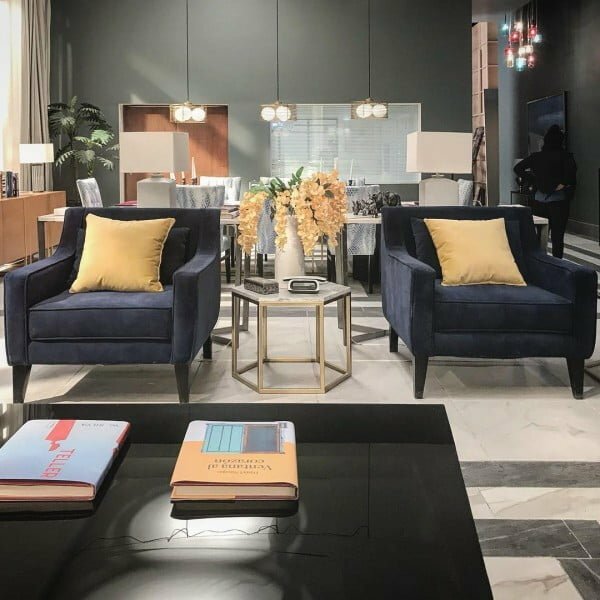 Symmetrically placing living room furniture lends the space a sense of cohesion, while subtly directing the flow of traffic. It also has a more modern feel and grounds the eye. 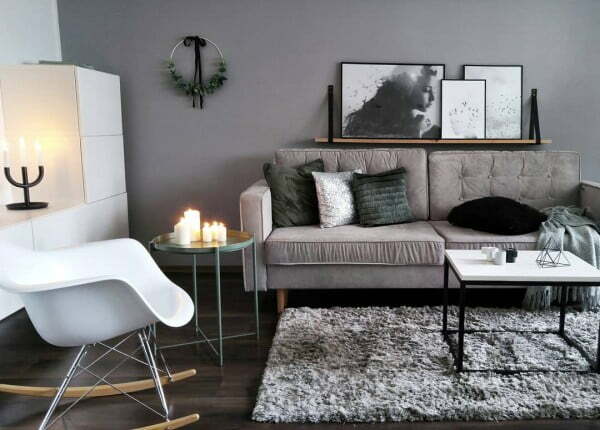 Using a large-scale photo print as art adds a modern vibe to space, especially one done in black and white. It provides an intense graphic punch. 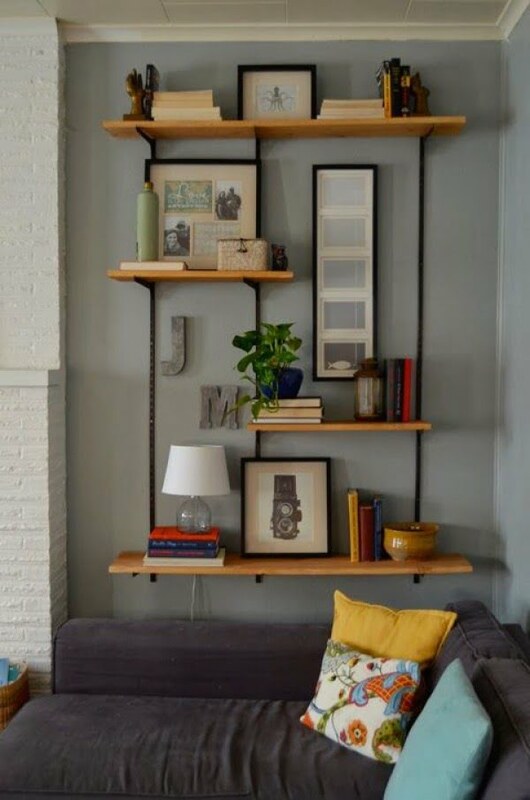 Having open shelving in a living room space is a great decor idea. The items placed on the shelves can easily dictate themes and styles, and be switched out to reflect the changing seasons. Recessed ceilings add drama and architectural interest to space. 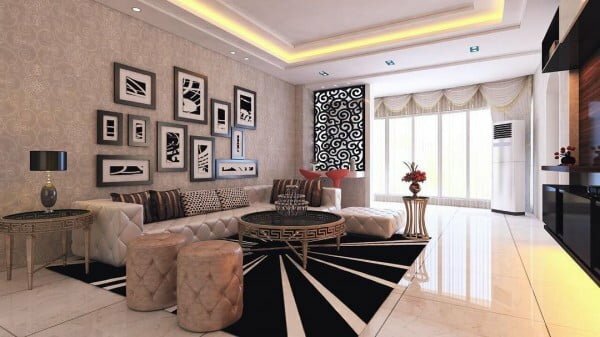 A living room with a recessed ceiling will instantly make the room feel grand and spacious. 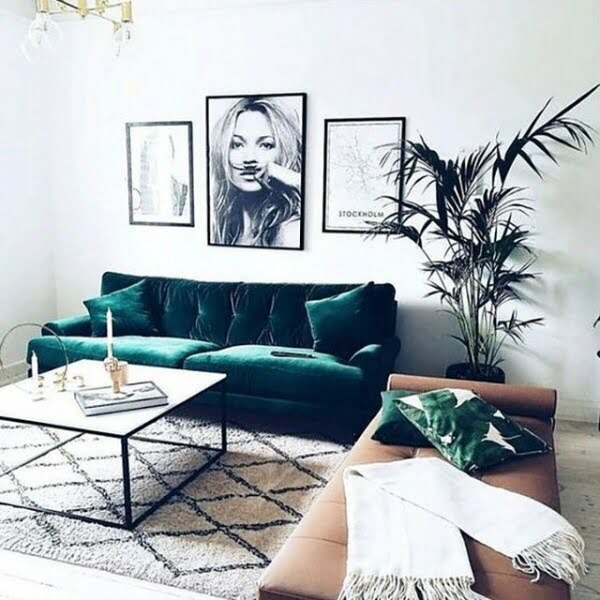 Adding a patterned sofa to a living room gives the eye something to focus on while adding some visual interest instantly. If a subtle rustic touch is needed, it can be achieved by adding a few rustic pieces like an animal image, baskets, or a rustic wooden furniture piece. Sofa tables are fabulous furniture additions to space as the items placed on top can frame the sofa and help space tell a story. 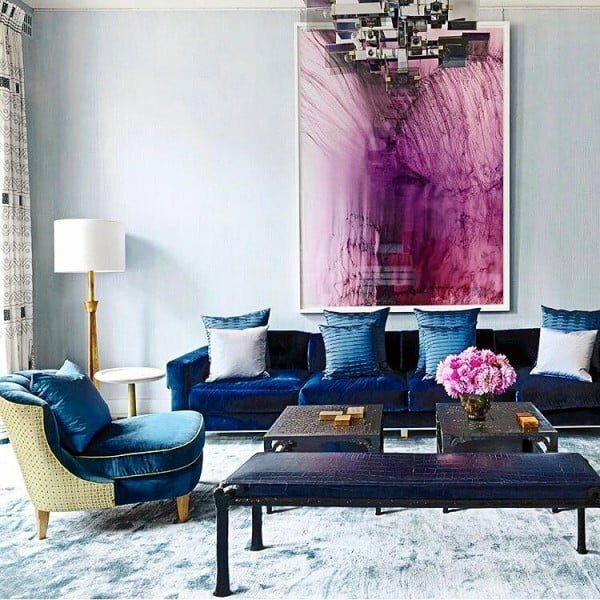 Hanging a dramatic and bold large-scale piece of art over a sofa draws in the space while giving the eyes an instant grazing point. 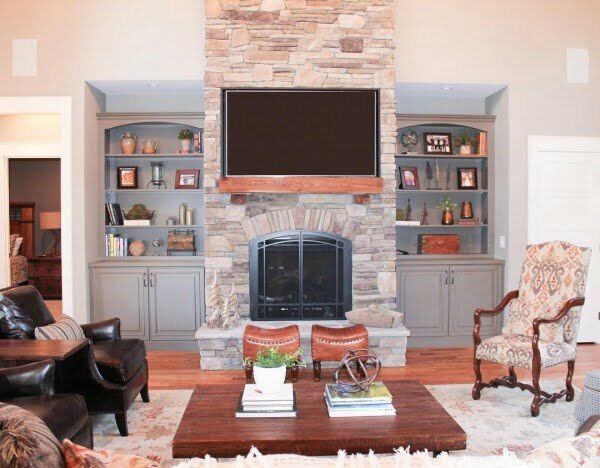 Adding built-in shelving units around a fireplace is the ideal way to create a feature wall that becomes the focal point of the living room. 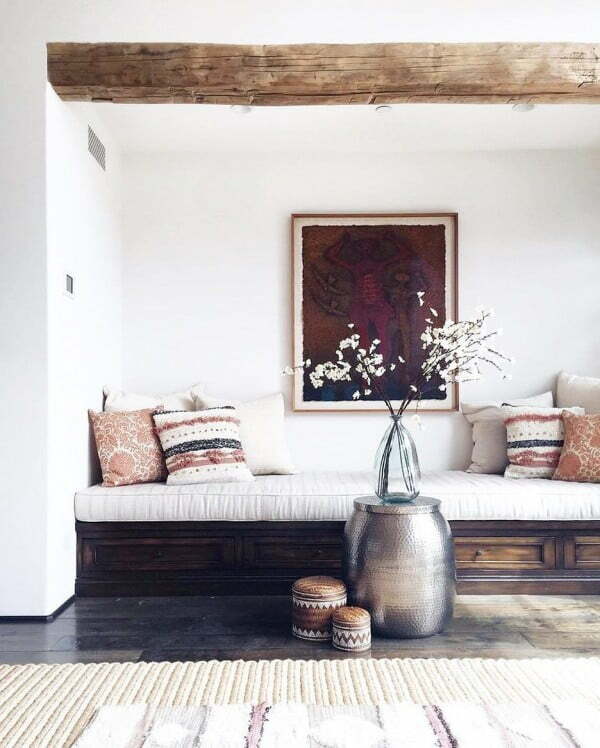 From photography to home decor, white and black is the perfect color pairing to produce dramatic flair in a space. Juxtaposing natural wood elements with the crispness of white gives living rooms a warm, cozy, spacious, and clean feel. 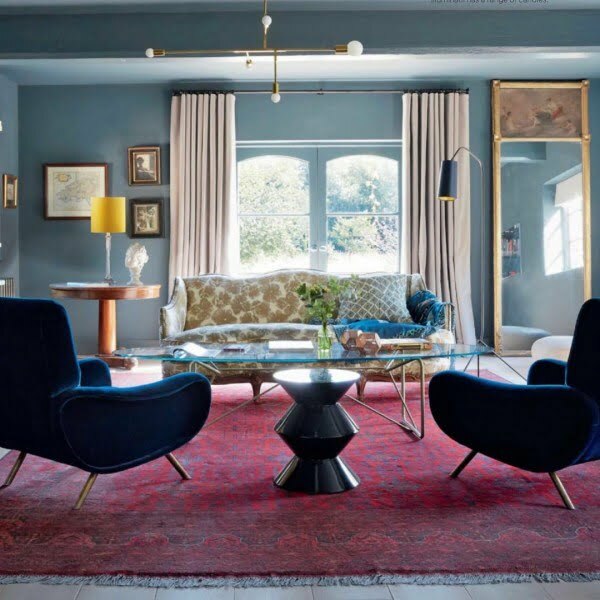 Combining different shades of one color creates a robust emotive reaction and unifies a space. Having one massive piece of art in a space truly defines the look. Furniture and other accents are more natural to plan around one large piece that carries the bulk of the style. Creating a layered look is indeed an art form as too little falls flat, while too much looks cluttered. Having layers in space lends depth and emotion to its surroundings. 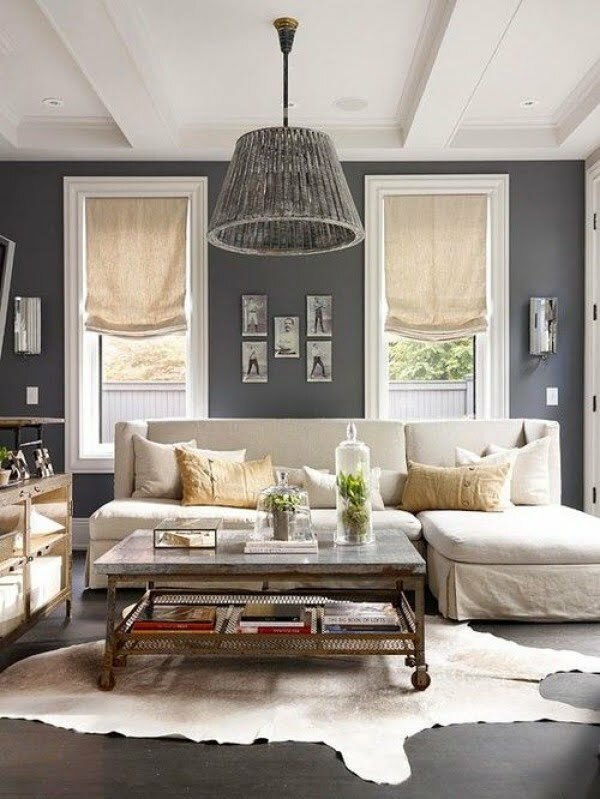 Grey and white color combinations are en pointe when it comes to creating a neutral space with warmth and depth. 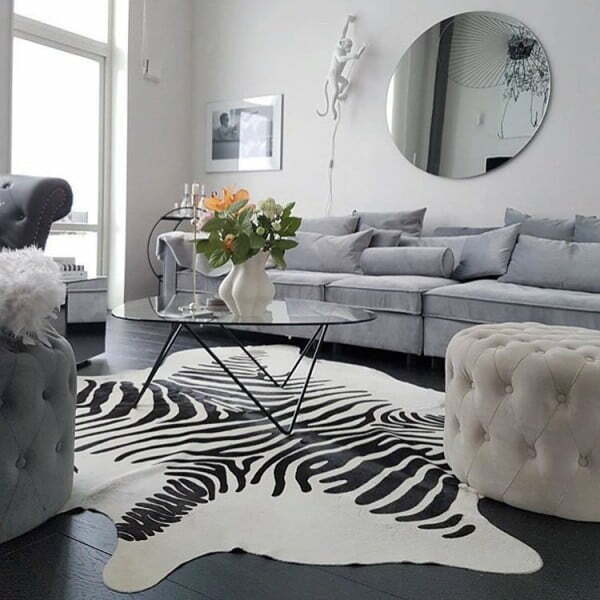 Adding a vibrant animal print rug is a sure fire way of adding a visual pop to space. It also instantly modernizes its surroundings. 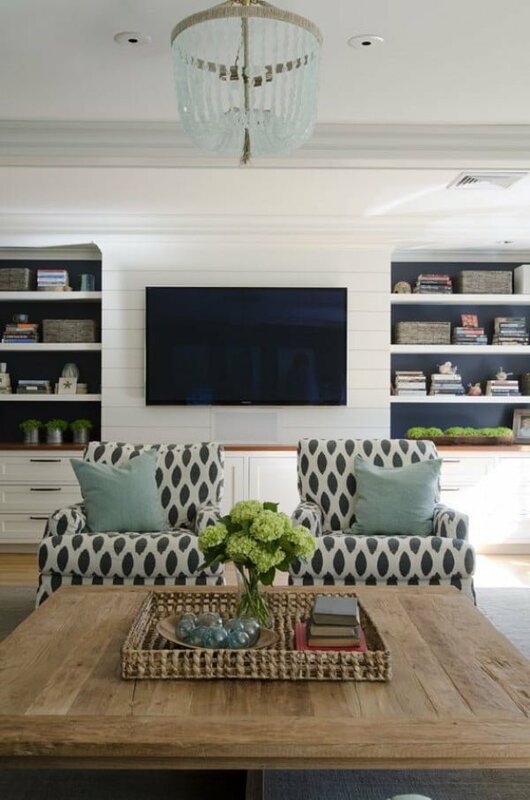 Pairing navy and white in a living room provides a nice neutral contrast, with a subtle nautical vibe. The difference between light and dark adds an exciting element of drama. Furniture pieces that can be moved, repositioned, and reconnected in different ways are both fun and practical additions to any space. 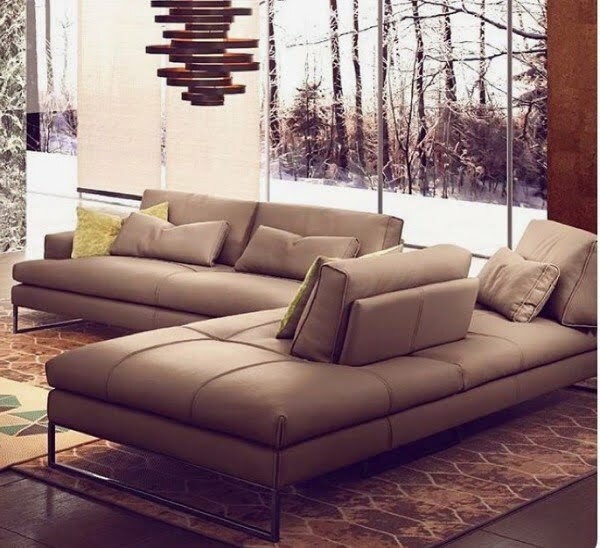 Adding furniture to a living room with clean lines and minimalist features makes space feel crisp, clean, modern and straightforward. 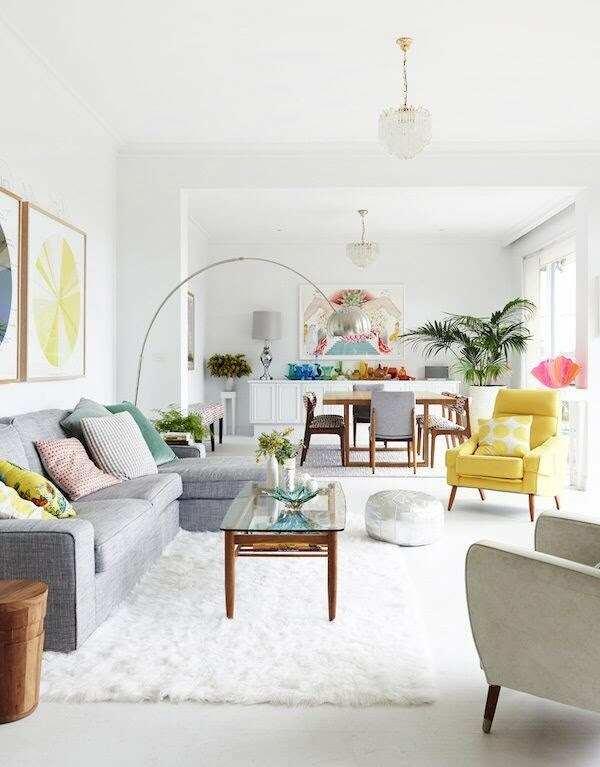 Whenever you add color or busy patterns to the room, choose soft hues that don’t fight each other. Warm colors create a simple but sophisticated look that is all the rage this year. To introduce more home decor interest, use different textures to create a well-decorated look. 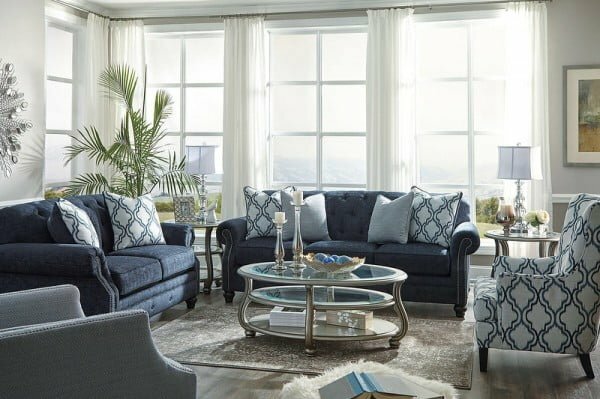 Choose different furniture finishes, upholstered furniture fabric patterns, rugs, and curtains. 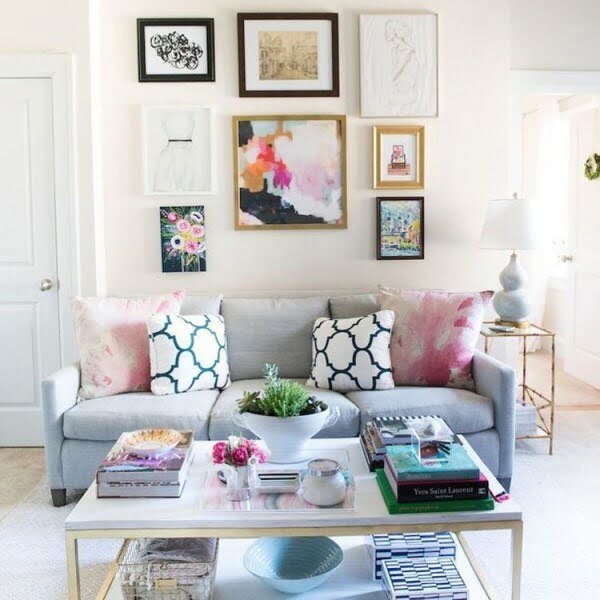 If you want your living room look more luxurious, choose one large-scale piece of art rather than a gallery wall of small pictures. The sheer size of it makes it look rich and sophisticated. 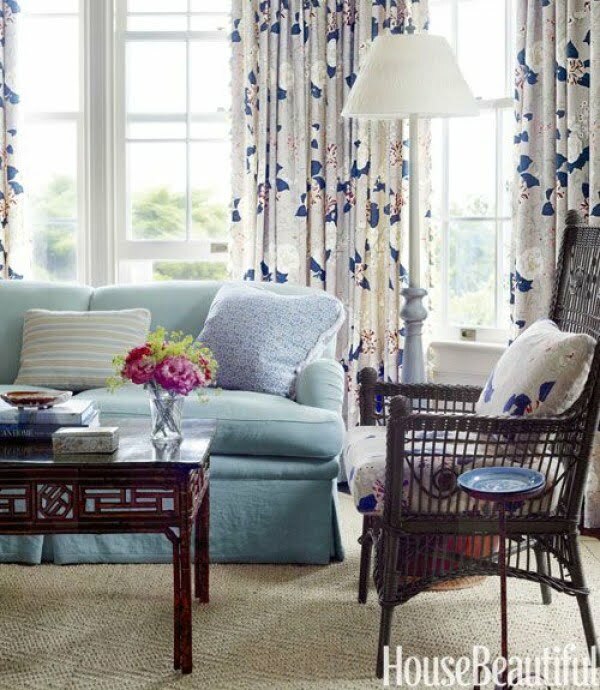 An exciting rug will anchor the room visually and make it look complete. It’s a great accent and decor feature that’s easy to add and introduce new patterns and colors to space. 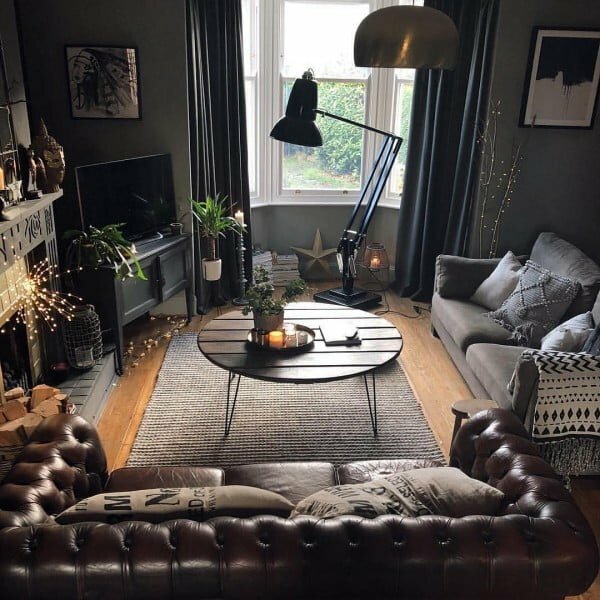 A genuinely gorgeous living room look is one that has a story to tell. 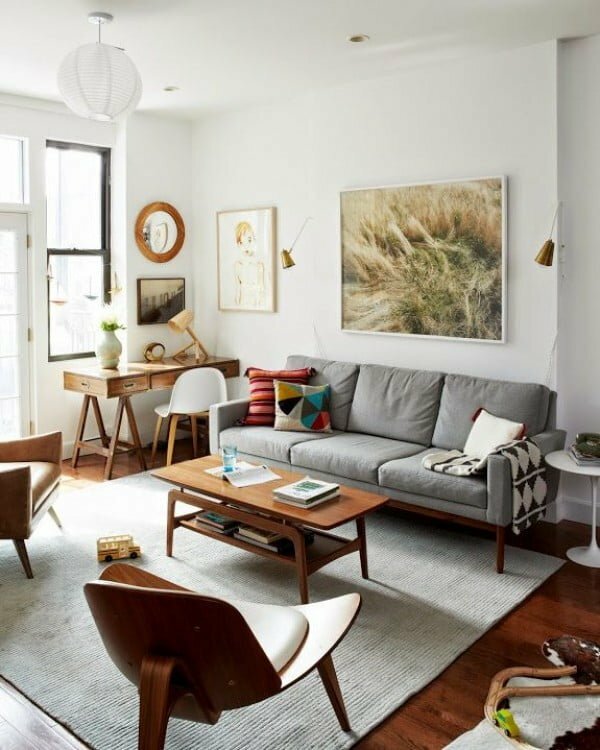 To make it more original, include a vintage piece or two that you’ve picked up in a flea market or online. Straight lines aren’t where it’s at, and you need to make it a lot more interesting. Include interesting sculptural pieces of furniture or other accessories to add some curves to the decor. 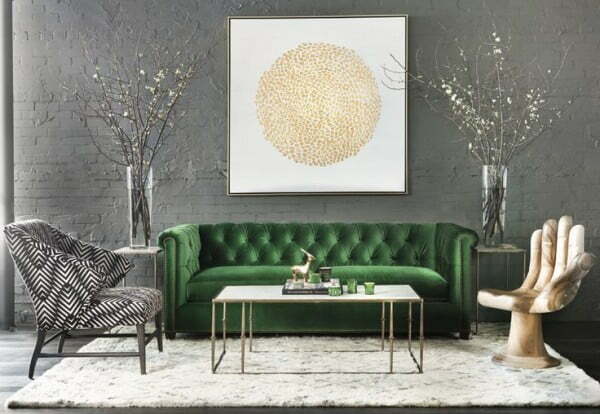 Make one accent piece the focal point and make sure it doesn’t have to fight for attention with other accents in the room. 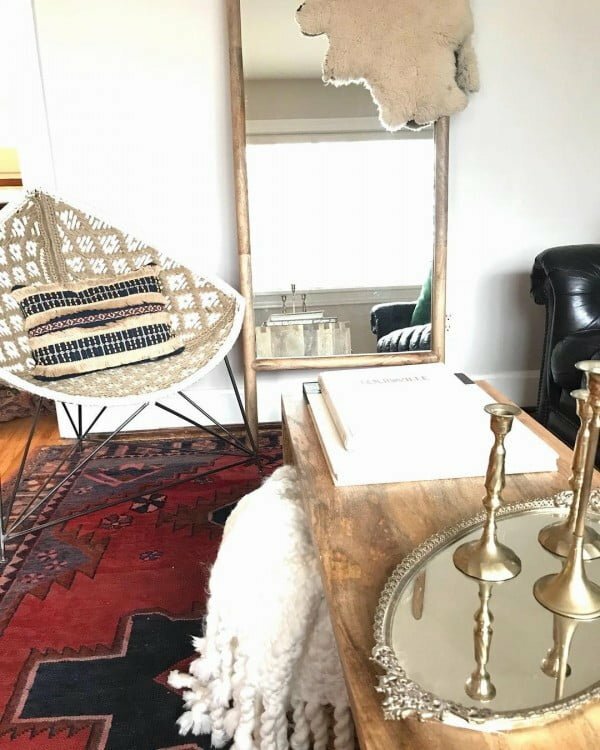 A statement mirror on the wall is a great option, but you can experiment with alternatives, such as a chandelier or even a vignette too. 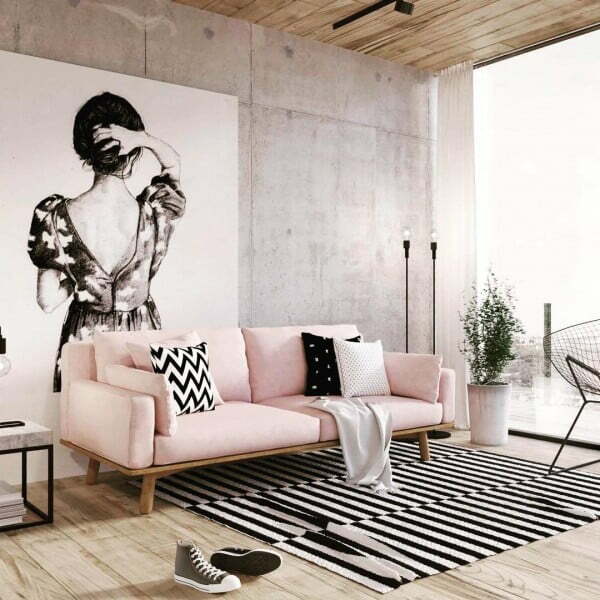 White walls are perfectly fine but to make the decor click you have to make sure to introduce color and texture to the room with furniture, wall art, and accessories. The empty canvas that it obligates you to create a masterpiece. If your living room has dark walls, it’s an invitation to create drama by creating contrast, using busy patterns and metallic finishes. 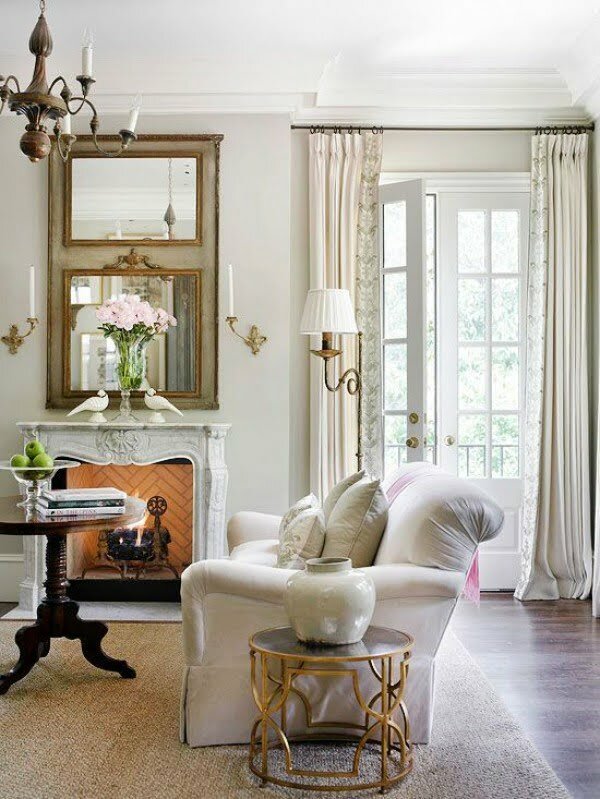 Use white framed wall pictures, an eclectic pattern rug, metallic vases, side tables, lamps. 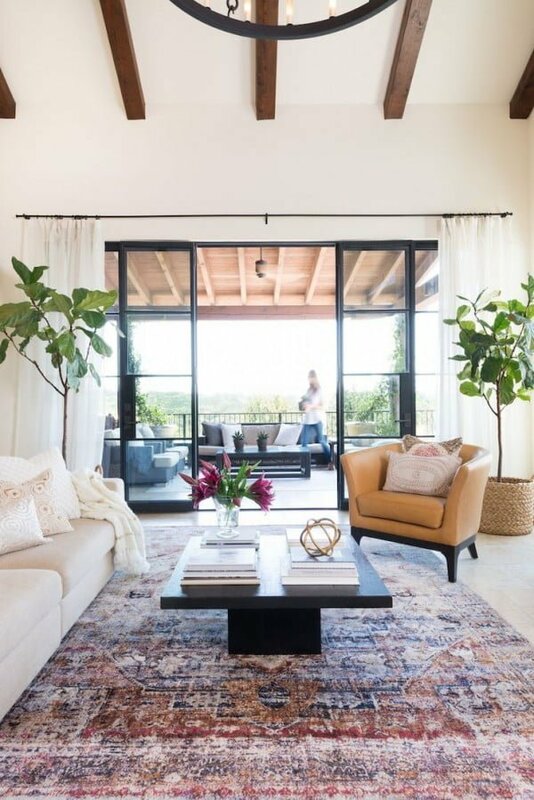 If you need to add something more to the living room without cramping up space, choose translucent acrylic or glass furniture that doesn’t occupy visual space. The living room is a place for gathering and conversation so pull that sofa and those chairs away from the walls for a better flow and an inviting place. 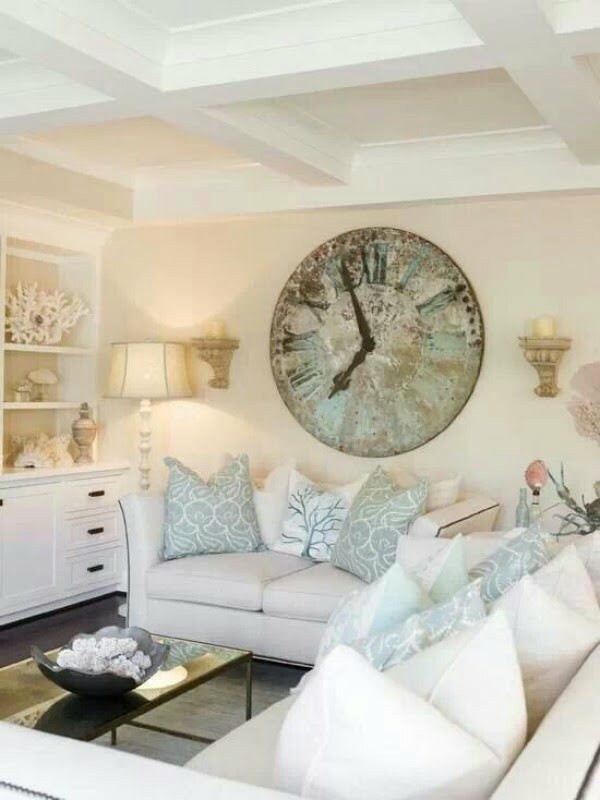 Framed pictures and family photos are great, but give your guests something to talk about by hanging at least one unique piece of art, like this oversized wall clock. 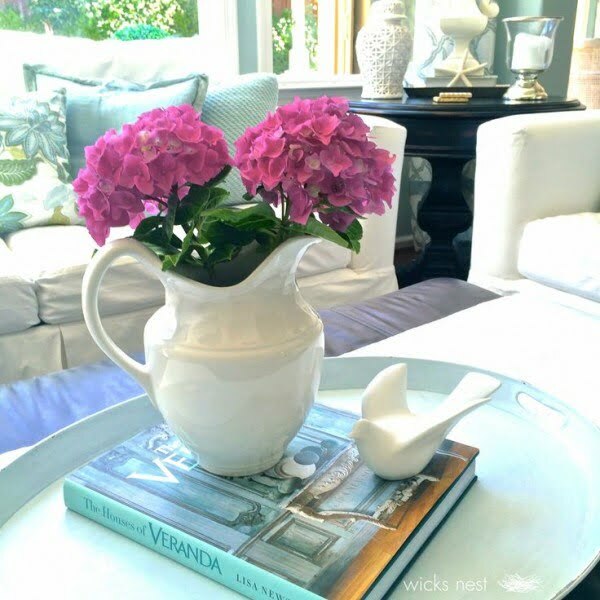 Whimsical accessories in unexpected places like this teapot flower vase make the room joyful and exciting. 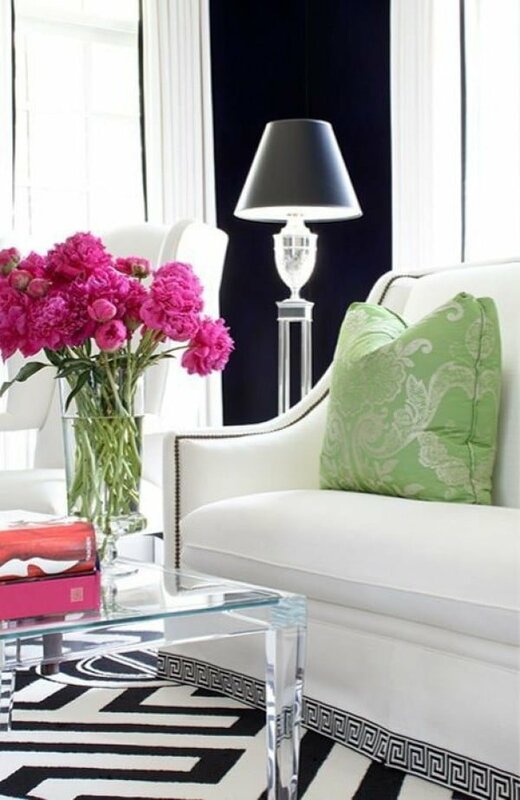 Get a fancy chair to complement the living room seating, go for something comfortable as well as stylish. 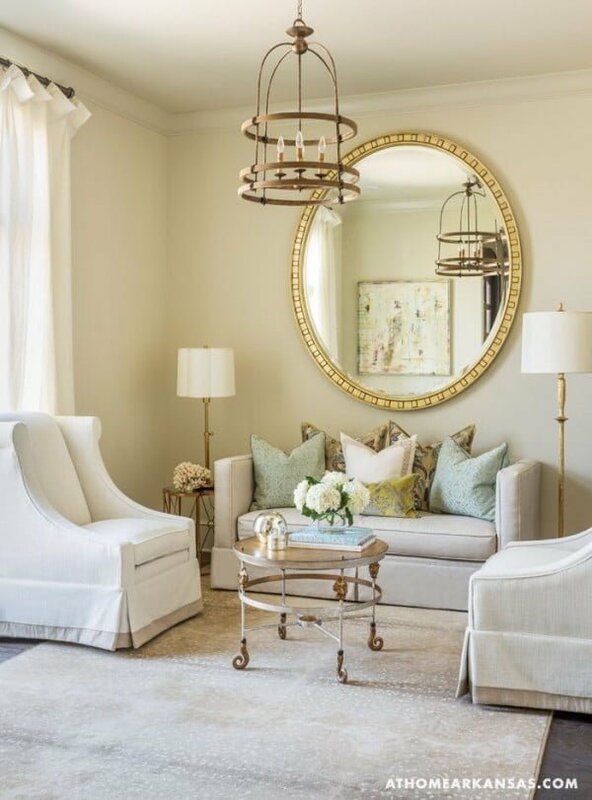 Mirrors are known to expand visual space, so they’re especially useful in a small room. 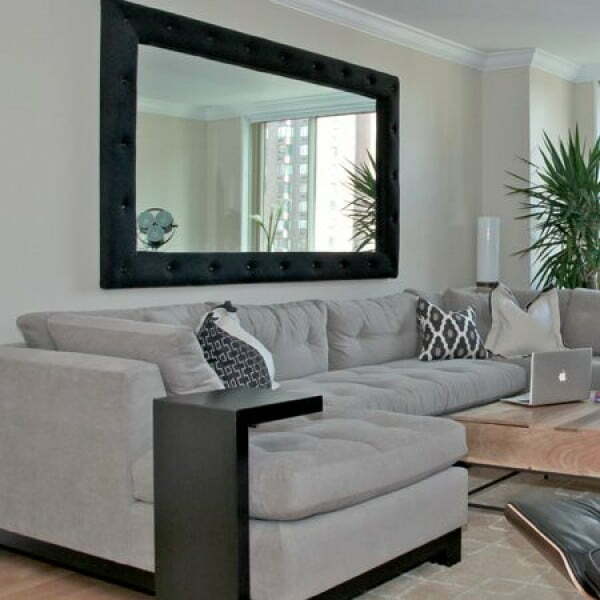 Consider getting a big mirror if you have free wall space. 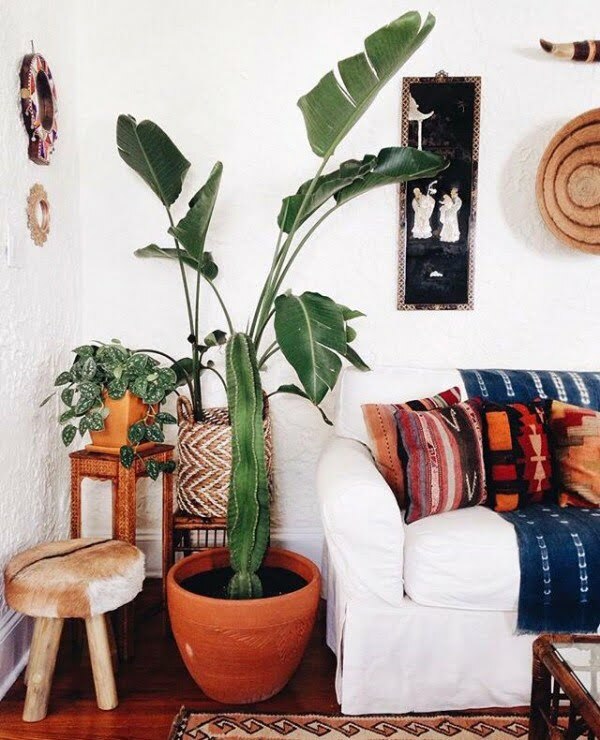 Live houseplants add depth to the room and soften the edges, get a few of them to freshen up the place. If you have old lighting fixtures, entirely replace them. 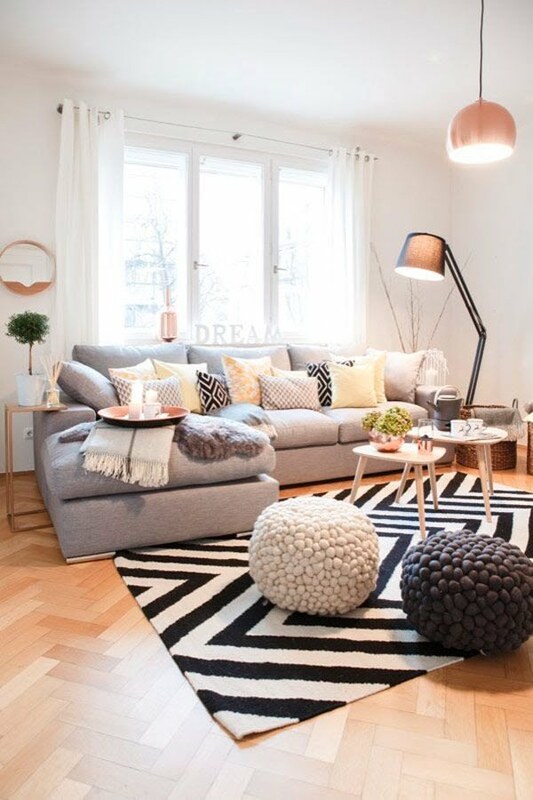 Add an extra table or floor lamps to create layers of light and create inviting lighting. Symmetry is visually powerful so arrange things with it in mind for a natural and balanced flow. A bookshelf in the living room is a powerful decor tool because it provides space for display items, vignettes, and collages, so this is where you can get creative. 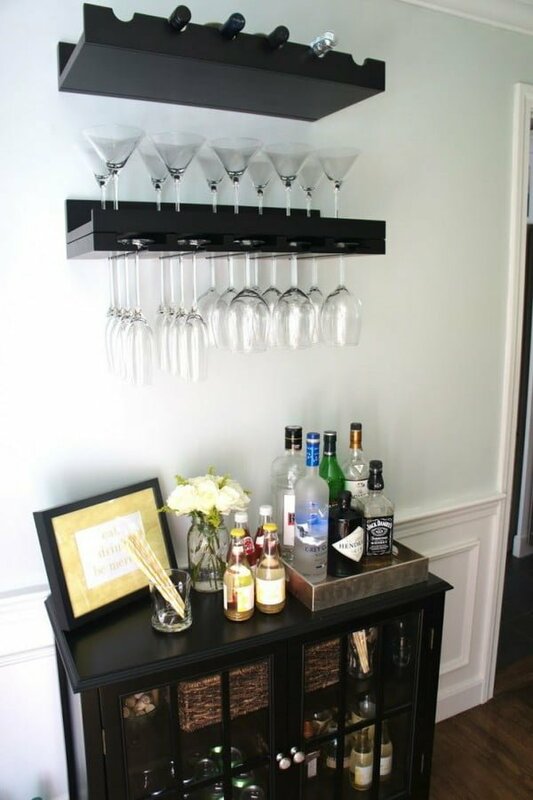 Chances are you’re going to entertain your guests with drinks and while a bar cart is a sweet quick fix, up your game with a complete home bar area, even if it consists of a small cabinet and a couple of shelves. 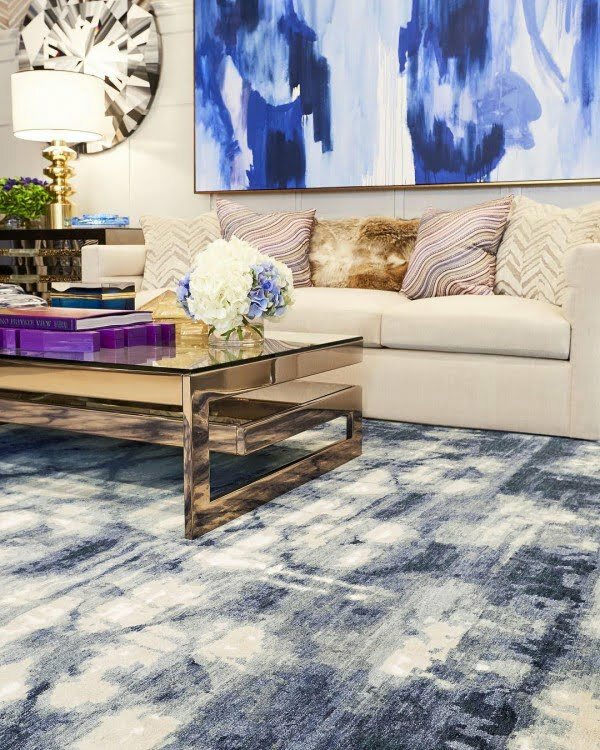 A striking rug anchors the room and brings the whole place together. 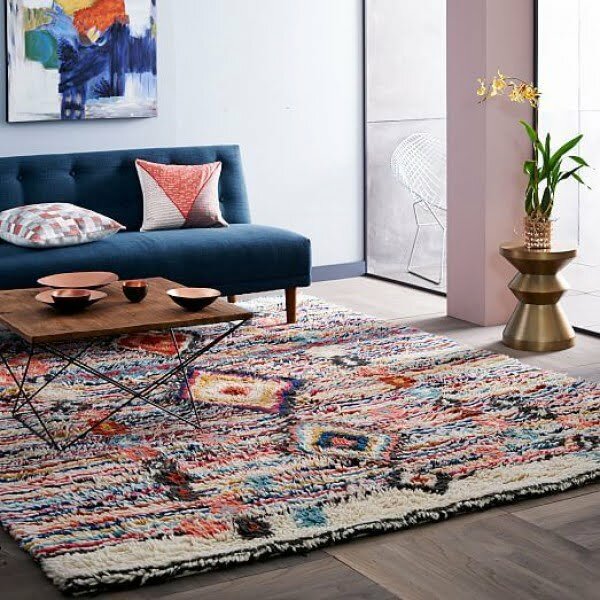 Go all in and invest in a great rug for a living room of your dreams. 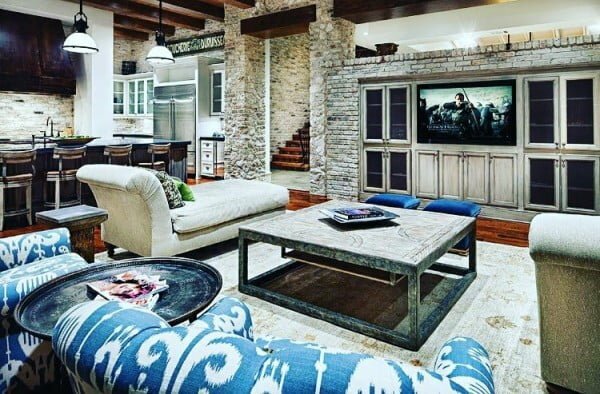 The TV is a natural focal point in a modern living room so make sure you decorate around it to make it a part of your living room decor. You have many options here; you can style the curtains, use blinds, or even leave the windows open if they have beautiful frame molding. But whatever you do, don’t leave the windows neglected.